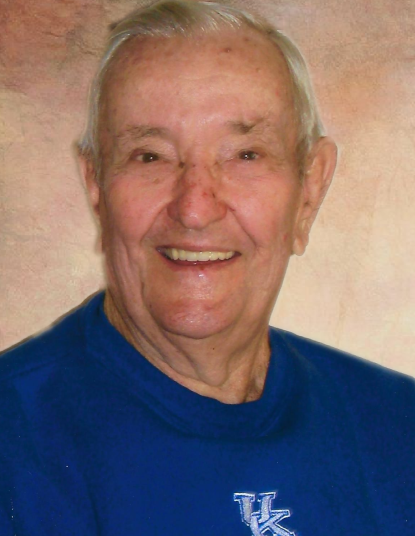 Elmo Green, age 88, of Hueysville, KY, husband of Edith Patton Green, passed away Saturday, January 19, 2019 at the Highlands Regional Medical Center, Prestonsburg, KY. He was born November 11, 1930 in Garrett, KY, the son of the late Albert and Amy Allen Green. He was a member of the Hueysville Church of Christ, a 1950 graduate of Garrett High School, 1954 graduate of Greer Shop Auto Mechanic School, Staff Sergeant in the United States Army during the Korean Conflict, a Kentucky Colonel, a Past Master (1977) and 54 year member of the James W. Alley Masonic Lodge, No. 869, Wayland, KY, he was retired from Inland Steel/ Island Creek Coal at Price, KY and and as a state mine inspector. In addition to his wife, Edith, he is survived by one son; Steve (Jane) Green, Hueysville, KY, one daughter; Myra Green (Freddy) Handshoe, Leburn, KY, one sister; Betty Green (Johnny) Chadwell, Urbana, OH, three grandchildren; Justin L. (Jennifer) Handshoe, Tyler (Emily) Green and Megan Handshoe (Lucien) Kinsolving and one great grandchild; Madeline Claire Kinsolving. He was preceded in death by his parents and one sister; Norma Jean Green Ratliff. Funeral service will be conducted Tuesday, January 22, 2019 at 11:00 a.m. in the Hall Funeral Home Chapel with Chester Ray Varney officiating. Burial will follow in the Green Family Cemetery, Hueysville, KY, visitation is after 6 p.m. Sunday and all day Monday with a Masonic Service Monday evening at 7 p.m., under the professional and dignified care of the Hall Funeral Home, Martin, Kentucky.